The introduction of Goods and Services Tax (GST) in 2017 overhauled a large share of India’s taxes and tax-related subsidies. 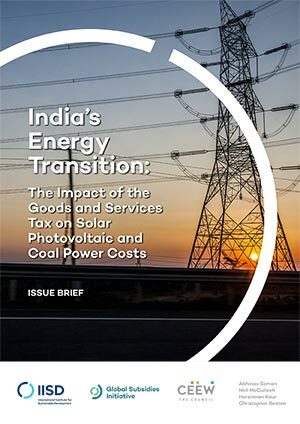 This brief, in collaboration with the International Institute for Sustainable Development (IISD), examines the impact of GST on the cost of generation of two energy sources – coal-fired thermal power and large scale on-grid solar power. 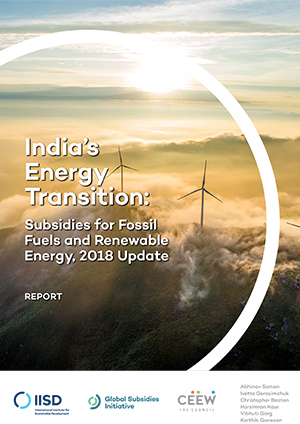 The study follows the CEEW-IISD assessment of India’s energy subsidies in late 2018. The introduction of GST led to an increase in the cost of solar PV power generation by 5.8 per cent and a decline in the cost of thermal power generation by 1.6 per cent. This could impact India’s clean energy transition. The total tax subsidies to both solar PV and coal thermal power have reduced – but the absolute size of the subsidy to coal-based power generation remains INR 7,685 crore higher than for solar PV in FY 2018. Policymakers must evaluate the impacts of such tax reforms to ensure they do not send the wrong price signals on energy choices. There is a need to carry out detailed assessments of how GST may have impacted relative competitiveness of renewable energy sources as against fossil fuels. An assessment of the economic, social, and environmental implications of changes in the costs of generation will help inform decisions on the appropriate tax rates for renewables and fossil fuels. According to the GST Council, 70 per cent of the solar PV contract value will attract 5 per cent GST while the remaining 30 per cent will be treated as ‘supply of service’ and attract 18 per cent GST. But services constitute a much smaller share of the contract value than 30 per cent for most of India’s recent projects. A higher tax burden is unfairly imposed on such projects. In addition, there must be clarity on types of solar PV technologies that constitute solar power generating systems. The broad-based changes in favourable taxation for technologies like solar and wind fail to recognise the extent to which the sub-segments of these technology classes remain in an early development stage like offshore wind, floating-solar, and small-scale renewable technologies. Even for more mature technologies, public support is required to help stimulate systems-based investments. Incentives will remain an important aspect of energy policy in coming years – whether they continue to be embedded in GST or shift entirely to alternative, dedicated policies. 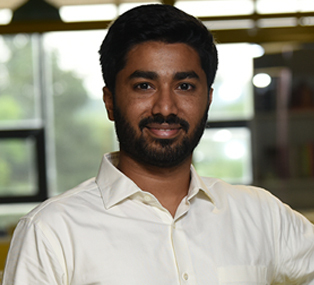 The scrapping of the National Clean Energy and Environment Fund (NCEEF) and the redirection of the revenue raised from GST Compensation states has removed an important support for emerging technologies in clean energy. The development and demonstration of such technologies at scale is critical to India’s energy security, climate leadership, and battling air pollution. It is crucial for policymakers to evaluate the impacts of such tax reforms to ensure they do not send the wrong price signals on energy choices.